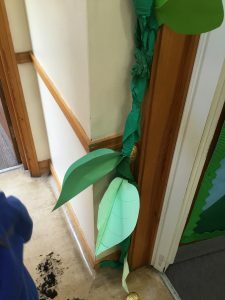 On Friday, after assembly the Year 1’s were walking back to their classrooms when suddenly we spotted some big muddy footprints in the corridor. 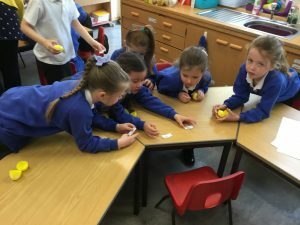 We went into the classrooms to find a letter had been left for us. 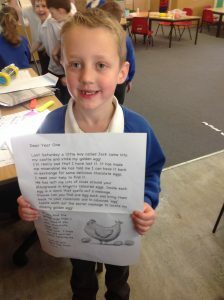 The letter was from the Giant in Jack and the Beanstalk. 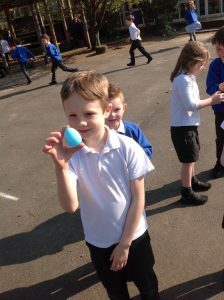 Unfortunately, Jack had stolen his golden eggs. 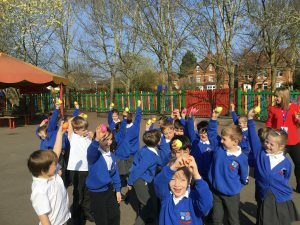 However, if we could find the golden eggs then we could exchange it for some chocolate eggs. 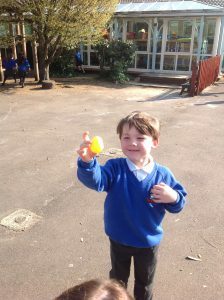 Firstly, we went out into the playground and we each had to find a colourful egg. 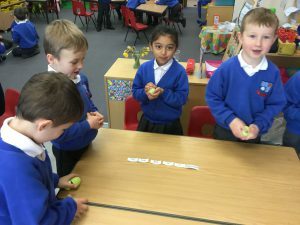 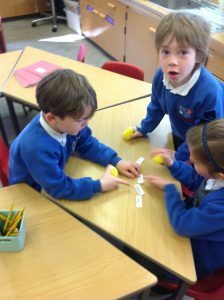 Inside the eggs were words which joined together to make four clues. 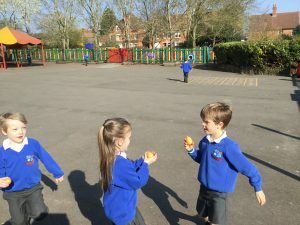 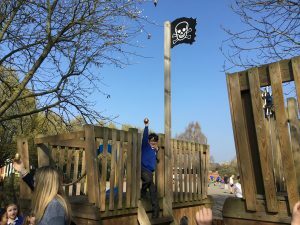 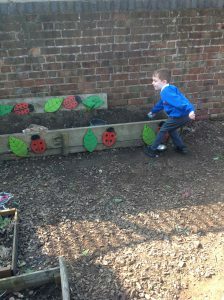 As a class, we decided that the clues were leading us to the pirate ship and so we went out to hunt for the golden egg. 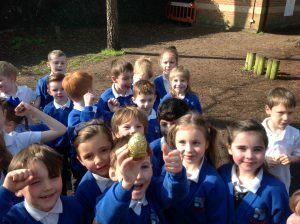 When we got to the ship, we climbed the ladder to the top and found two golden eggs. 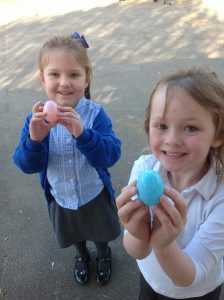 We took the eggs back inside and left them on the beanstalk for the giant to find. 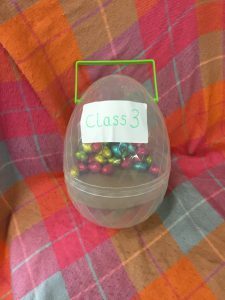 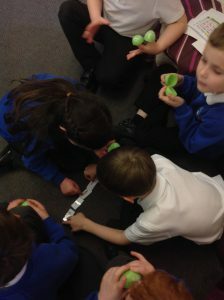 When we got back to our classrooms we were amazed to find that the giant had left us each a chocolate egg- they were delicious!